Yesterday was the 50th anniversary of the debut of the original Star Trek (well, in America at least: sorry to Canada that we didn’t do this two days earlier), so fittingly the tributes and odes were pouring in from fans around the globe. However, it was George Takei who best summed up what the franchise is really all about, and in doing so explained why it is so beloved and has endured for so long. The O.G. Sulu was a guest of super nerd and Trekkie Stephen Colbert on The Late Show last night, and Takei shared his memories of the “very special” first time he went to work on the series, where franchise creator Gene Roddenberry described to him and the rest of the cast at their first table read what story the space adventure show was really telling. 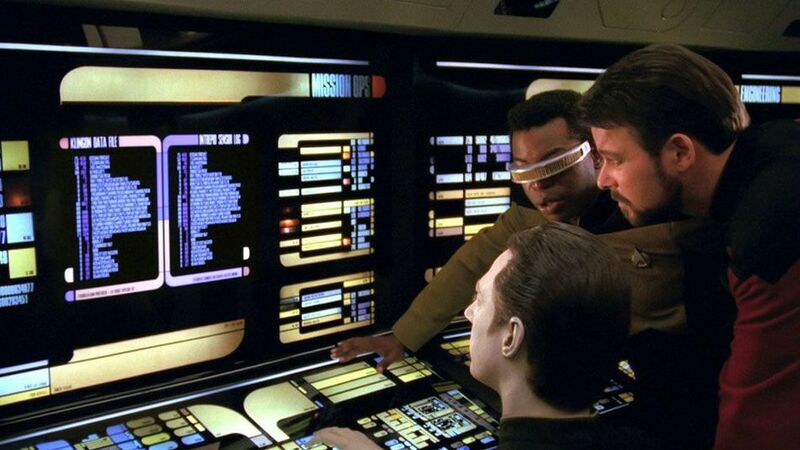 “Gene explained to us what Star Trek was all about,” said Takei, “He said that the Starship Enterprise was a metaphor for Starship Earth, and the strength of this starship lay in its diversity coming together.” Roddenbery then explained that the possibilities of “infinity diversity in infinite combinations” (IDIC) would force the crew, representing the many people of the planet, to combine their abilities to solve problems as one. More detail on the interview at The Mary Sue. Majel Barrett has had both on-screen roles and has been on multiple versions of Star Trek as the voice of the ship’s computer. Her voice was recorded phonetically before she died and there is talk of using her voice on Star Trek: Discovery, along with using it Siri-like virtual assistants. I want my Amazon Echo to use her voice! Bryan Fuller continues to slowly provide hints about other aspects of Star Trek: Discovery. He tweeted than an episode from The Original Series, Balance of Terror, is a “touchstone” for Discovery’s story arc. The episode introduced the Romulans, and TrekMovie.com speculates on what this might mean. USA Today has an article on Rod Roddenberry. Greg Berlanti is working on yet another superhero show, now Black Lightning for Fox. As “Supergirl” leaps to The CW, how has the network move – and the relocation to Vancouver – been going? I just saw the director’s cut of the first episode, and I’m in as much love with the show as ever. It’s been challenging to figure out all the moving parts, moving the show across cities and across networks. 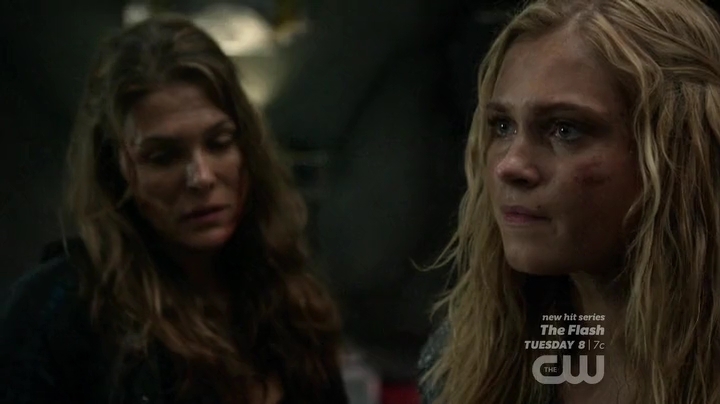 But the reality is, I think the show is as strong as ever and it feels really seamless. People will not be able to tell that it’s not L.A. It feels like National City still. There are some new enhancements to the set that we were going to do anyway. Obviously some new characters are coming to the show that we would have brought in anyway to the second season. And so I’m really pleased. 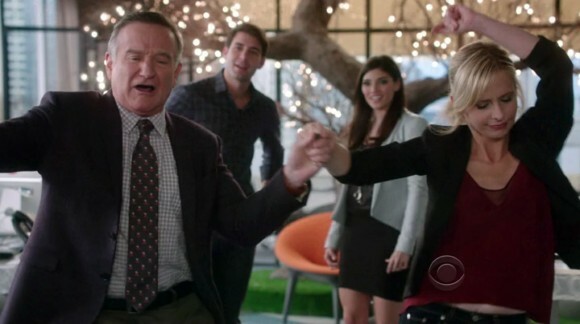 CBS in their own wisdom recognized it, there’s no part of the show that’s fighting itself anymore. It has a youthfulness and appeal because of the age of the leading lady, and it gets to embrace that a touch more. What more can you tell us how often we’ll see Calista Flockhart’s character, Cat Grant? She’s recurring. We’re trying to get her for at least six episodes this year, and she’s in the first two episodes. We’re just trying to see when she can come back now. And will we see her interact with Superman? I don’t want to give it away, but she has a special kind of dynamic with Clark Kent. 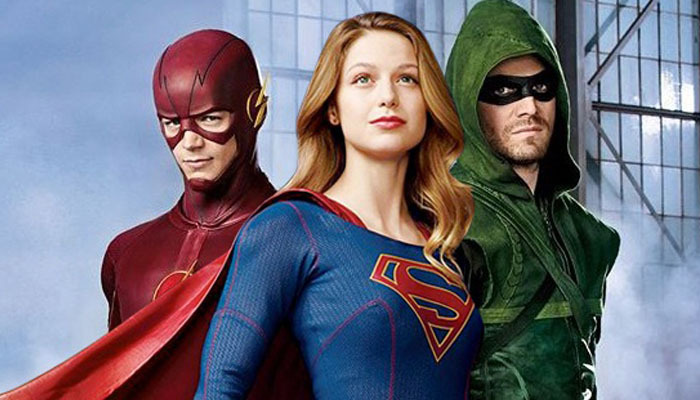 How far along is the “Supergirl”/”The Flash” musical crossover? We just finished writing the fall crossovers. And now we’re trying to figure out how to produce them. That’s probably the most challenging thing we do all year. And now we’re doing it across three shows! But next week we’ll have to start talking about clearing music. I have a few ideas for tone and style in my head but we’re just starting to talk about what that can be. I do want to try and get an original piece of music written. As we make a deal on that we’ll probably make some announcements on the original songs. Perhaps written by, I don’t know, Lin-Manuel Miranda? [laughs] I would say, pretty close. I can’t say yet because we don’t have a deal yet, but I did speak to someone we’re really excited about. There are some writers I’m incredibly excited to work with. Back to the big CW series crossover, how difficult is that to pull off across so many series? You really are trying to run a single production across three different productions. But they’re run as three separate entities. We have to figure out when we’re borrowing one actor from where. We’re telling one cohesive story; “Supergirl” will participate, but the storyline doesn’t actively begin there. There are some characters who show up in her episode, but the story begins with “The Flash” episode and goes to “Arrow” and “Legends of Tomorrow.” We’re just getting into designing the bad guy for it, and we start now but it doesn’t air until the end of November. We will put a lot of time between now and then figuring out visual effects sequences. Just today I was holding the three scripts back-to-back – that’s 180 pages of material. It’s a three-hour story, almost a miniseries. And when you place all three scripts together, it unlocks some sort of fortune. [laughs] It’s very daunting when you hold them all together like that. Each one of these pages is 10 hours of shooting and a visual effects extravaganza. But hopefully it feels like a great kind of crossover comic book sell. I was pleasantly surprised to see Emily Bett Richards while watching Brooklyn last weekend. (Sorry, it was not a major role, and the movie, while excellent, is totally non-genre). 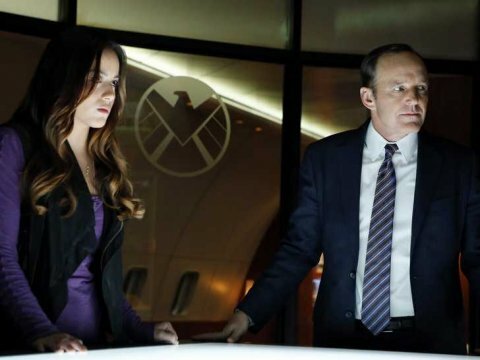 Agents of SHIELD has a promo for Ghost Rider. More at Screen Rant. Hulu has picked up a sci-fi comedy entitled Future Man from Seth Rogen. Vince Gilligan is producing a limited series for HBO on Jim Jones for HBO entitled Raven. My bet is that he will do a good job of showing Jones’ life, but after Breaking Bad I would prefer to see him invent more flawed characters of his own. Netflix has renewed Narcos for season 3 and 4. It’s one of the Doctor’s most celebrated adventures and yet no complete film recordings of The Power of the Daleks are known to have survived. The master negatives were destroyed in an archive purge in 1974. BBC Worldwide has announced that a brand new black and white animation based on audio recordings of the programme using the original cast, surviving photographs and film clips will be released 50 years to the minute after its only UK broadcast on BBC One. 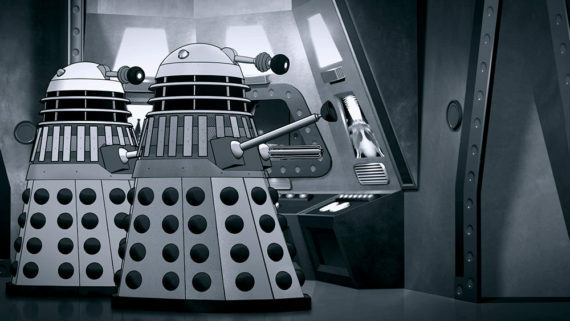 The six half hour episodes feature the regeneration, or as it was then called ‘renewal’, of First Doctor William Hartnell into Second Doctor Patrick Troughton, as the Time Lord and his companions Polly (Anneke Wills) and Ben (Michael Craze) do battle with the Daleks on the planet Vulcan. Anne Hathaway told Variety she would live to play Catwoman again. That might be difficult as the Christopher Nolan Batman stories, where she appeared, have concluded, but that doesn’t entirely rule out her reprising the role in a future movie. 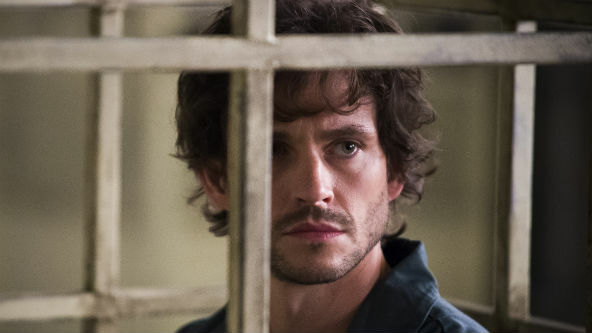 A few genre shows have already won awards last night at the Creative Arts Emmys. Winners included Jessica Jones (Outstanding Original Main Title Theme Music), Mr. Robot (Outstanding Music Composition For A Series), and Man In The High Castle (Outstanding Main Title Design and Outstanding Cinematography For A Single-Camera Series). Hopefully some of these series will also win some of the more major Emmy awards. J.J. Abrams is working on a television adaptation of The Nix, staring Meryl Streep. Sherlock returned last week. 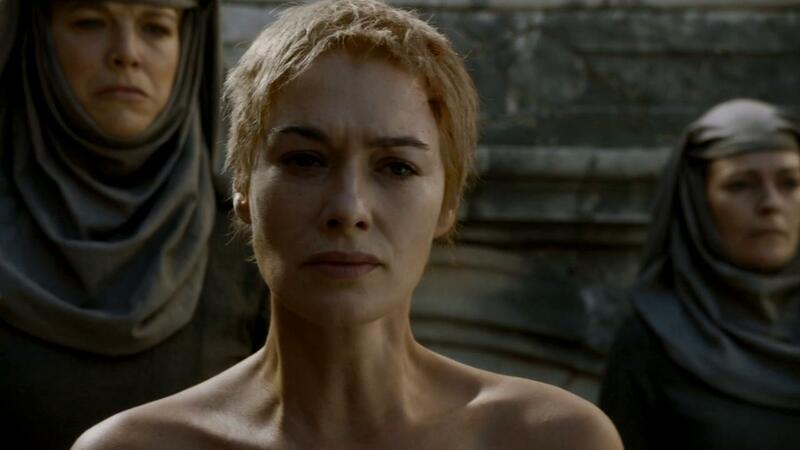 I won’t say much to avoid major spoilers until the show returns in the United States. 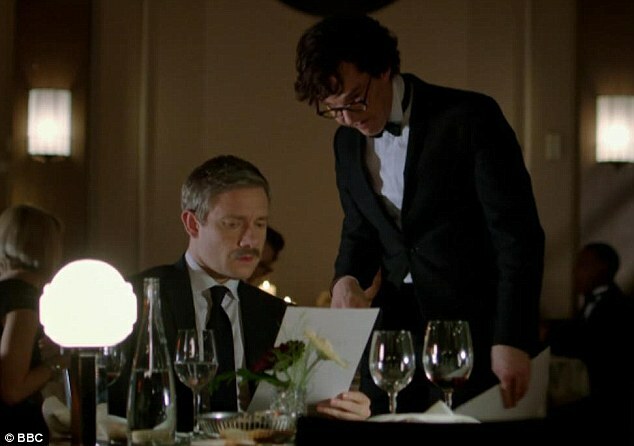 It should be safe to reveal that Sherlock lives. The episode shows how he survived the fall, but it was more interesting to see Mark Gatiss make fun of all the fan theories. A full review of the episode can be found here. Q&A with cast and show runners here. The second episode, The Sign of Three, airs tonight on BBC One. A spoiler-free review can be found here. Helix is an intense thriller about a team of scientists from the Centers for Disease Control who travel to the high-tech research facility, Arctic Biosystems, to investigate a possible disease outbreak, only to find themselves pulled into a terrifying life-and-death struggle that may hold the key to mankind’s salvation or total annihilation. However, the lethal threat is just the tip of the iceberg, and as the virus evolves, the chilling truth begins to unravel. Executive produced by Ronald D. Moore (Battlestar Galactica), Steven Maeda (Lost) who is also showrunner, and Lynda Obst (Contact), the 13-episode drama stars Billy Campbell (The Killing, Killing Lincoln) and Hiroyuki Sanada (The Wolverine, 47 Ronin). Campbell stars as Dr. Alan Farragut, leader of the Centers for Disease Control outbreak field team called upon to investigate and control a potential outbreak. Sanada also stars as Dr. Hiroshi Hatake, director of Arctic Biosystems and its mysterious viral research program. Helix also stars Kyra Zagorsky (Supernatural) as Dr. Julia Walker, Mark Ghanimé (Emily Owens, M.D.) as Major Sergio Balleseros, Jordan Hayes (House at the End of the Street) as Dr. Sarah Jordan, Meegwun Fairbrother as Daniel Aerov, Catherine Lemieux (White House Down) as Dr. Doreen Boyle and Neil Napier (Riddick) as Dr. Peter Farragut. Helix is produced by Tall Ship Productions, Kaji Productions and Lynda Obst Productions in association with Sony Pictures Television. Prolific director and producer Jeffrey Reiner (Friday Night Lights) directed the first episode of Helix, which was written by creator and co-executive producer, Cameron Porsandeh. The trailer for the Veronica Mars movie was released last week. Video above. Attempts were made to see if time travelers were active on social media and if they would provide clues as to their existence. The attempt to find time travelers was unsuccessful. What about these clues that John Kennedy and Barack Obama are time travelers? House of Cards will return on February 14. For those who want to revisit the first season, Netflix has added director’s commentary tracts. It looks like the Superman vs. Batman movie is a good deal financially for Michigan. Awaiting details on what is being filmed–will Detroit be the next Gotham City? David Lynch is filming new material in preparation for the Blu-Ray release of Twin Peaks. 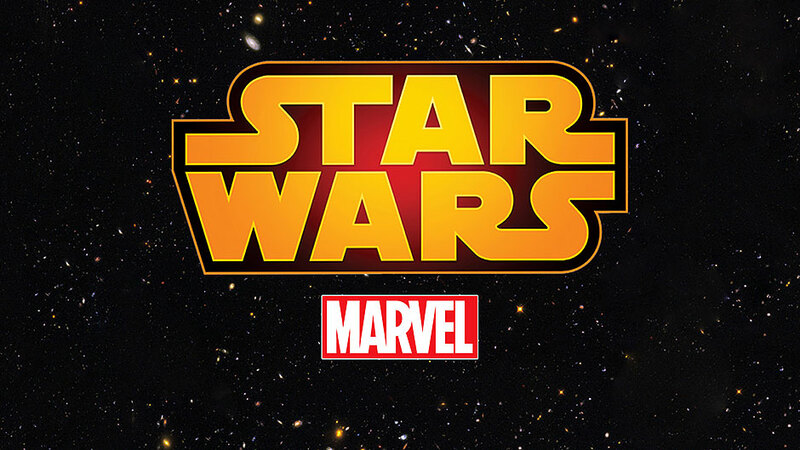 After Disney purchased the rights to Star Wars, it comes as no surprise that Star Wars comics will be returning to Marvel, which Disney also owns. “Dark Horse Comics published exceptional Star Wars comics for over 20 years, and we will always be grateful for their enormous contributions to the mythos, and the terrific partnership that we had,” said Carol Roeder, director of Lucasfilm franchise publishing, Disney Publishing Worldwide. “In 2015, the cosmic adventures of Luke, Han, Leia and Chewbacca will make the lightspeed jump back to Marvel, to begin a new age of adventures within the Star Wars universe. What has been the big challenge in formulating Better Call Saul? And can you clarify how much of the show will be a prequel and whether we might see scenes that take place after the events of Breaking Bad? Are we going to hop around in time a little? Peter Gould is a wonderful writer and producer and director who worked on Breaking Bad with me from the first season, and he created the character of Saul Goodman (Bob Odenkirk). He and I have been turning that over in our heads quite a bit. We think, by and large, this show will be a prequel, but the wonderful thing about the fractured chronology we employed on Breaking Bad for many years is the audience will not be thrown by us jumping around in time. So it’s possible that we may indeed do that, and we’ll see the past and perhaps the future. 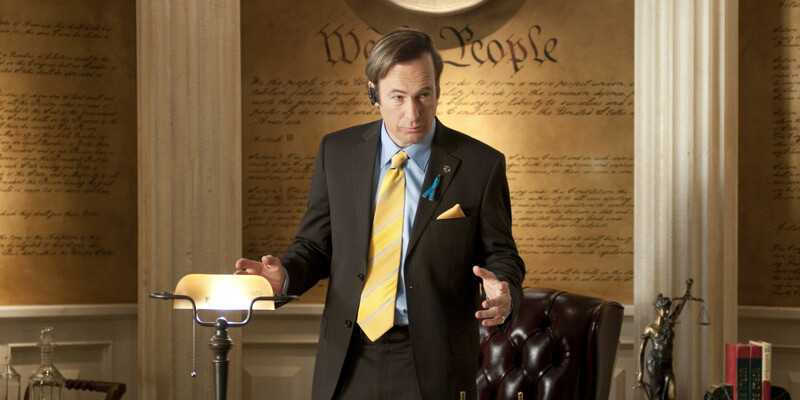 Nothing is written in stone yet, we’re still figuring it out, but the thing we realize is tricky with the character is that Saul Goodman is very comfortable in his own skin. He seems to be a character who is pretty happy with himself, especially when we first meet him. He seems to be a pretty happy-go-lucky guy, and that makes him everything that Walter White is not. And that also makes for tricky drama. When I say drama, even in a comedy, you want drama, you want tension and conflict, and a character that at heart seems at peace with himself is intrinsically undramatic. [Laughs] So we’ve been thinking about how to address that issue. 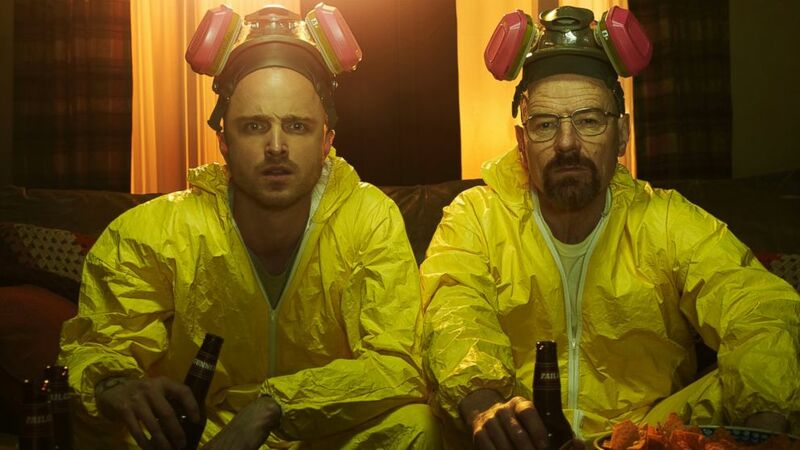 Could some of the action be set in the Breaking Bad era as well? It could. That’s why I love the possibilities of the show so much. Anything is possible, and I can’t make any promises that we will indeed see that kind of stuff, but I can tell you from a writer’s point of view, it’s very freeing and emboldening to have those opportunities available to you. How many characters from Breaking Bad might pop up or even have an extended role? I would suggest using a lot of Jonathan Banks in order to add drama which might not be found in Bob Odenkirk’s character. 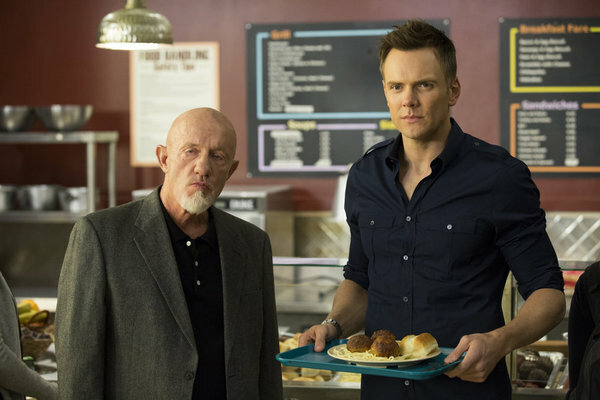 Incidentally, we have already seen Jonathan Banks on Community and Vince Gilligan will also be making an appearance. Community returned with two episodes, Reboot and Introduction to Teaching. Dan Harmon returned and did successfully reboot the show, putting the changes from last season behind. Reboot was the weaker of the two as Harmon did have to spend time setting up the scenario of having everyone back again at Greendale. I would have been satisfied if they simply said the fourth season was a dream and picked up from where season three left off but there was the obvious need to continue the narrative where the show left off last season. I bet that after this, repilot and gas leak year will enter the general vocabulary to describe future shows in similar situations which have a down year under the wrong creative team and then reboot afterwards. IGN: Chevy’s cameo was a very nice surprise. How did that come about, and how did you decide upon the specific way it happened in the episode? Dan Harmon: Well, there’s always the point in every story when a character that’s gone down a certain path needs to have a reason to turn. One of the easiest things to do is have a moment with a mentor, a kind of Obi-Wan figure. I was really just considering what the story needed in the moment where Jeff is walking away with the power to destroy or save Greendale in his hands. What the story needed was someone to turn him, and I did picture Pierce immediately because if he was still on the show, that’s exactly how we would use him, and it’s a greater fact that he was always at his best as this sort of hapless Obi-Wan or a cautionary tale or unintentional mentor – trying to be a mentor in one way, but actually inspiring in a different way. It just seemed like one of those big moments where it was like, “Man, I really miss having that Pierce character,” and I literally pictured him in my head like this Industrial Light & Magic ghost that would appear in front of Jeff and say, “Don’t do this. Go back.” Then I thought, “Okay, then how do we actually make that happen, logically?” The answer was, “Well, actually what you’re describing could just be a hologram, because it doesn’t need to be having a conversation with Jeff. He just needs to say something. He just needs to be a vision.” He can’t be a literal ghost, but he could be a hologram, because Pierce has money, and that seems like the kind of thing you associate with Pierce — that whole Baby Boomer/Sharper Image kind of technology for its own sake kind of thing. And actually, that would work perfectly, because it would allow Chevy to come back to the show without panicking Sony legal, because he wouldn’t be on the set. I wasn’t there when Chevy departed, but I know he had a specific agreement with Sony in which the terms of his departure were contractual and there was an agreement on both sides. I don’t really know more details than that except to say that simply bringing him back would be a contractual issue. So I was able to say to the studio, “What if we weren’t bringing him back? What if we were shooting him on a separate stage with no other actors around. Would that be allowable?” And they said, “Yes.” So it became this idea. I knew Chevy would be on-board because he’s an arch character, but I know that at the end of it all he always loved doing the show and would be more than willing to come back. He’s very passionate about making people laugh. So I texted him, and he said, “Absolutely, I’ll do it.” And then there was the weird thing of, we really didn’t want that to leak too early because it’s such an easy thing to spoil, and it really does spoil it, I think. So we wanted to see if it was possible to keep it under wraps until it aired. We actually kept it a secret from as much of the crew as possible, other than there were some people we needed to shoot Chevy, but we didn’t tell anybody that we didn’t have to tell. At the table read for the episode, we wrote a fake scene where Jeff is turned by Star-Burns. [Laughs] That’s actually, unfortunately, a really funny scene that the actors got really excited about, because it’s the reveal that Star-Burns is alive and that he’d been hiding on campus and faking his death to avoid death charges. The question is, why would he pick the campus to hide on? It’s the dumbest hiding place in the world, and he doesn’t know why, there’s just something special about the campus, like it was home or something. And that’s what turns Jeff. There is new conflict coming up on The Big Bang Theory next week as Bernadette goes to a rival comic book store to purchase something for Howard in the picture above. NPR’s Morning Edition had a recent segment on the show. Vince Gilligan ended Breaking Bad just as most would have predicted if not for feeling that this was too obvious and trying to throw in a twist. In the end, Walt killed the Nazis, rescued Jesse and then died. Jesse escaped, Lydia was killed, and plans were made to get money to Walt’s family. Realistically Walt’s death was the most probable end-point for the series since the first episode. Initially it might have been from the cancer. Events since then changed how it most likely to occur. It became inevitable that he would face a violent death, but also achieve some measure of victory. 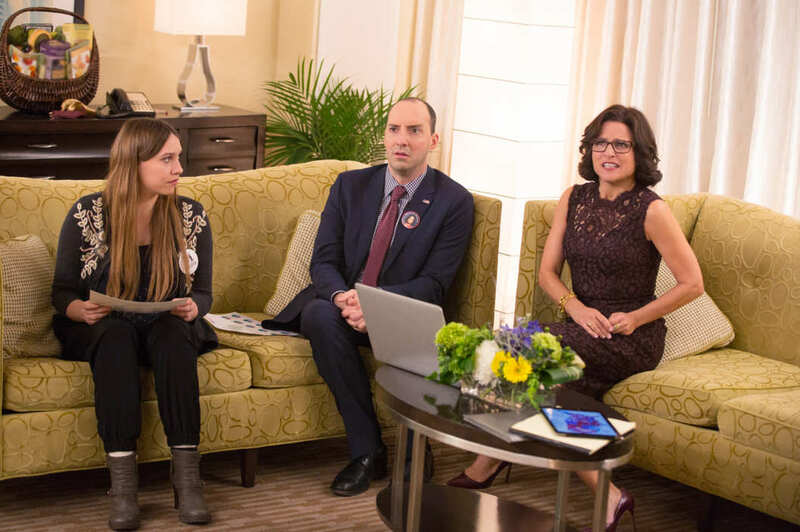 The only surprises in the finale were the details in how everything would be accomplished, such as threatening Elliott and Gretchen with assassination by “the two best hitmen west of the Mississippi” who were really Skinny Pete and Badger armed only with laser pointers. There was no need for a surprise ending, and certainly not a gimmick such as a dream or fading to black. Breaking Bad feels more like a continuous story in a novel, leading to the most likely conclusion. 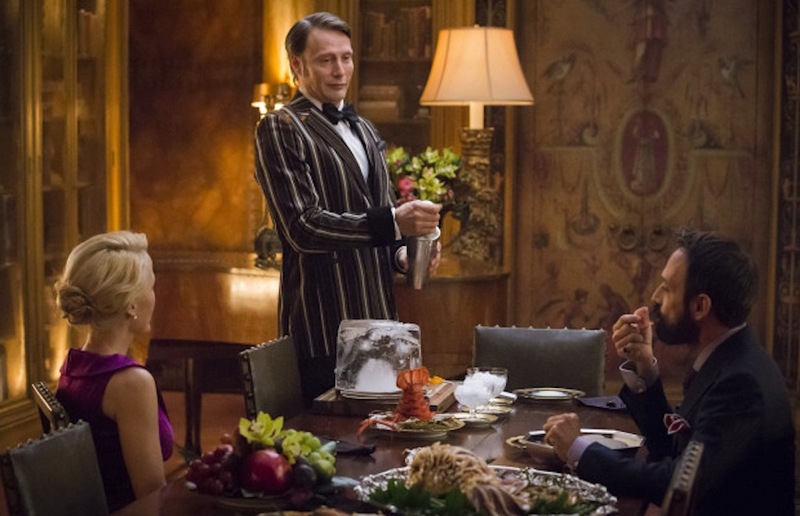 The finale has received universal praise, showing that no gimmicks were needed. Hopefully writers of future series will learn from this. The success of the finale of Breaking Bad led to inevitable comparisons to other finales. To be fair to other show runners who fell short, the structure of Breaking Bad lent itself to coming to such a definite and obvious conclusion. While I was not satisfied with the ending to The Sopranos, an ambiguous ending was more in line with that show than Breaking Bad. After the full run of the series, it was realistic that Tony Soprano had made enough enemies that one would just walk up to him and shoot him in a diner. It would similarly be realistic to interpret this otherwise and see Tony Soprano continuing as he had for years, as with Sam Malone on Cheers. Breaking Bad had a clear storyline leading to an inevitable conclusion. Damon Lindelof was blasted on Twitter during the Breaking Bad finale for not providing such a satisfactory conclusion to Lost. While I think they could have done better with Lost, a key difference here is that Lost had developed such a complex mythology that there was no realistic way to end the series. Lindelof defended his ending in The Hollywood Reporter, which was more a plea for everyone to stop talking about it. Did Walt have any plan for after he killed the neo-Nazis if he survived? It did not appear that he did. If not for the last-second decision to save Jesse, I wonder if he had planned to jump to the floor, or remain standing and die with everyone else in the room. Unfortunately it wasn’t realistic to have Jesse wind up raising Brock, providing him with a true happy ending. What was going through Jesse’s mind when he didn’t shoot Walt? 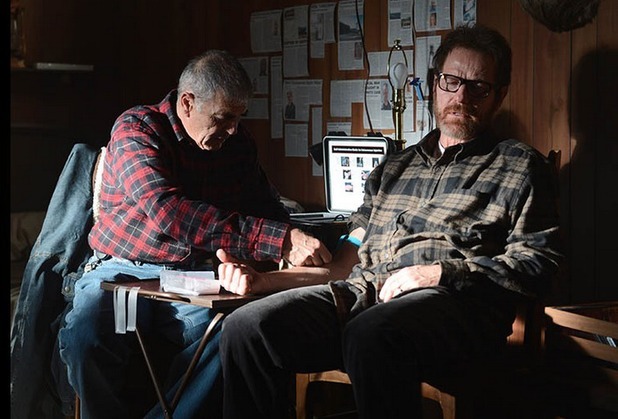 Was this the outcome of Jesse previously saying he would never do what Walt told him to do again, a desire to be done with killing, or did a remnant of his old respect for Walt prevent him from pulling the trigger? Would he have shot Walt if he didn’t see that Walt already had a gunshot wound? Will Walt’s scheme work and will Gretchen and Elliott really get the money to Walt, Jr.? There’s no way to know. On this show many elaborate schemes have worked well. It was quite fortunate for Walt that Lydia kept to her old schedule and was the one to take the pack of poisoned Stevia. Everything also had to go right for his plan to kill the neo-Nazis to succeed. While throughout the series many elaborate plans were successful, not everything went right for Walt. Most notably, Walt ruined his plans by leaving the Walt Whitman book out in his bathroom, and easily fell for Jesse’s plan to lead the DEA to the money. We also do not know if his plan for Skyler to negotiate with the coordinates of Hank and Gomez’s bodies will save her, with his previous phone call not appearing to have helped her very much. In comparing the recent finales of Breaking Bad and Dexter, it seems like the Breaking Bad finale was planned from the start while Dexter‘s finale decided late in the series. The opposite turns out to be true. Vince Gilligan had no idea about some major aspects of the ending, and has revealed other endings under consideration. Before the season started, you said the core idea behind this finale has been in the works for years. What was the original concept? BUCK: The kernel idea were the last few scenes. They were what I pitched a few years ago. 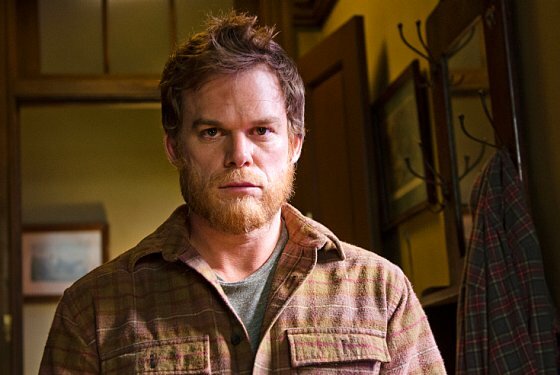 The main idea was Dexter is forced to kill Debra. And there are many ways that could happen. But those final scenes were pretty much unchanged. SARA COLLETON: From the very beginning the paradox was here’s a guy who doesn’t feel he’s a human being, who has to fake it. But in faking it, he’s a better brother, boyfriend, colleague that most real people. People think of him as a monster, but he yearns to be human. We’ve seen him go forward on this journey every year. Now we found out what the final price was. What sums up the entire journey was the scene on balcony of his apartment before going on the boat to put Deb down — that’s horrible to say aloud. The voiceover: “For so long all I wanted was to feel like other people … now that I do just want it to stop.” It’s the horrible awareness of what it was to be a human being and how overwhelming that is for him. His punishment is banishment. He sends himself into exile. Killing himself is too easy. When he turns and looks into the camera at the end he’s stripped everything away. Were there any other versions of the ending that you rejected? BUCK: The only real variation was what he would be doing. I knew he would be in a self-imposed prison that would be as far from Miami as possible. We’d find him working in some solitary environment where even if other people were around he would make no contact and not talk to anyone. We would follow him home and he would have no human contact. In a way that’s his new code — avoiding human contact. BUCK: Yes. For us, that’s the tragedy. The one thing we felt Dexter wanted more than anything was human connections. 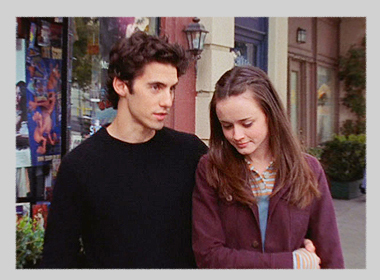 Even in the first season we see him trying to get with Rudy. Now that he’s finally made that journey and he’s almost poised to have a real human life, he has to give all that up to save Harrison and Hannah. COLLETON: He went into an absolute shutdown. He no longer has even his voiceover. 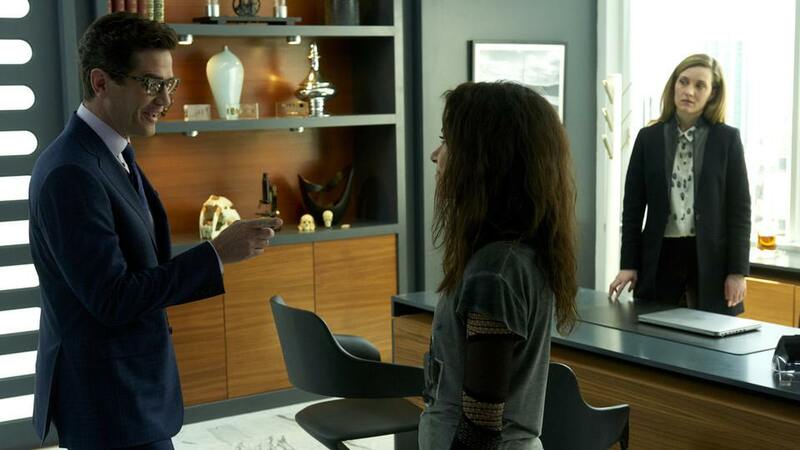 The Blacklist remains the best new network show so far, and has become the first to receive a full 22-episode pick-up. Sleepy Hollow will remain with a thirteen episode run this year, and has been renewed for a second 13-episode season. 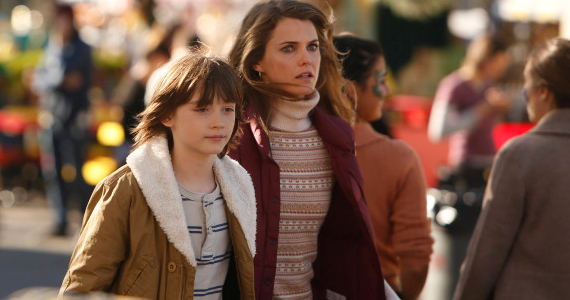 The Americans was one of the best new shows last year. Creator/executive Joe Weisberg and executive producer Joel Fields discussed the show at PaleyFest. Nathan Fillion will guest star on Community, making Firefly references inevitable. David Tennant will reprise his role as star of Broadchurch for a US adaptation from Fox. It was an excellent show, but I’m not sure why we need a second version. I imagine that many US viewers neither have a way to pick up British shows and don’t watch BBC America, leaving an untapped audience for Fox. If you haven’t seen it, there is a particularly fine interview Steven Moffat has given to Nerd3 in which he discusses, well, a lot of things you don’t often hear Steven Moffat discuss. 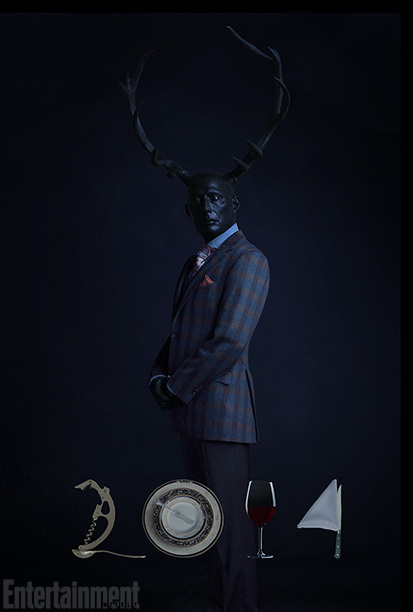 One section is devoted to regeneration, and the fact that it would not be a break with Whovian tradition for the Twelfth Doctor to look a lot like someone the Doctor has already met. In fact Peter Capaldi has been in Doctor Who (as Lucius Caecilius Iucundus in “The Fires of Pompeii”) and Torchwood: Children of Earth, and Steven has already had a chat with Russell T Davies over how this will all work. If they try to be too clever I suspect they might run into problems analogous to explaining why the Klingons look different in different versions of Star Trek. There’s a simple explanation–the same actor played three different roles. Sure, you could come up with an explanation which includes the Doctor taking the form of people he encountered in the past when regenerating. Then how do we explain Karen Gillan’s appearance, as she also appeared in The Fires of Pompeii as a different character before playing Amy Pond? J.J. Abrams has apologized for all the lens flairs in Star Trek Into Darkness.